Chairs: Kathy Baxter, Salesforce, Dan Russell, Google, and Liz Gerber, Northwestern. 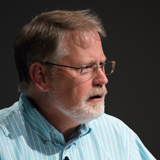 Celebration: Volunteer work will be highlighted at the following day’s conference opening plenary. Partner organizations will be invited to join the opening plenary. Please note that you must be registered to attend CHI and be registered to participate in the Day of Service. Simply completing the form above does not register you for the event. For decades, the CHI community has helped to transform the experiences people can have with new technologies. From understanding users’ needs, to exploring the impact of new technologies, to building those empowering technologies, the CHI community takes action every day to bring about change. More recently, the CHI community has begun to recognize with the CHI “Social Impact Award” individuals who apply HCI research to pressing social needs. On May 7, 2016, CHI will partner with Benetech to bring over a dozen non-profits to the San Jose Convention Center to enable CHI attendees to leverage their skills to make an impact. These non-profit organizations may be in support of the arts, cultural heritage, education, environmental science, social justice and more. The volunteer work that people can expect to do will range from helping critique a website, to brainstorming new ideas for an app, to mentoring kids in Hour of Code. The CHI4Good work accomplished on May 7th will be documented for highlighting at the following day’s conference opening plenary. 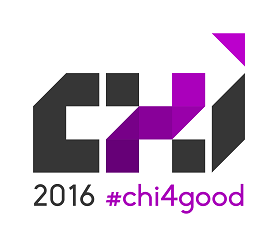 And CHI4Good partner organizations will be invited to join the CHI community for the opening plenary and one evening of Interactivity open to the public. Don’t miss out on this exciting and new CHI event and your chance to make a difference in our community!